THE Mini Superstars project is aimed at getting toddlers into sports from an early age; we deliver weekly coaching sessions for toddlers aged 2-4 in Nurseries and Schools across Hammersmith & Fulham and surrounding West London boroughs. Our delivery consists of a sporting element but we also speak about a healthy eating and living ethos. Within this ethos, we teach the children which foods are healthy and how to keep their bodies and minds strong for a longer and happier life. In addition, all sessions include A B C’s (Agility, Balance and Coordination) all skills vital for young children within their physical development. These core skills have strong links to the Early Years Foundation Stage (EYFS). This helps to support the schools and nursery staff to monitor and record the children’s development in these areas. We also provide weekly community and half term sessions, which we encourage the local toddlers we have engaged with to attend. This is a great way to give your Mini Superstars the right start in their young life, not only learning new skills but developing socially. 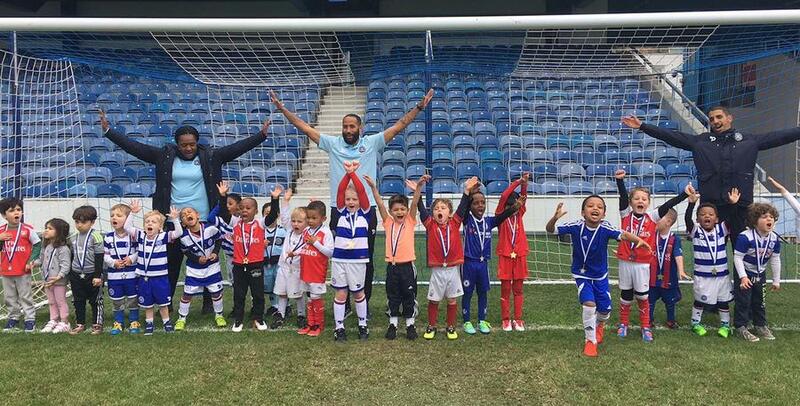 We also offer exit routes so once the toddlers have moved out of our age boundaries we signpost them to our QPR Soccer Schools which begin from the age of 5. We have successfully seen this natural progression already with toddlers we have engaged with. If you are a school interested in our Nursery/schools sessions or a parent interested in our weekly and half term provisions contact the project manager Michael Spencer on 0203 198 7138 or email [email protected].